How thousands of small-acreage conservation easements add up to landscape-scale environmental benefits. In ways big and small, Montana’s Flathead River watershed in the shadow of Glacier National Park is being protected. 34% of the corridor’s important agricultural soils. 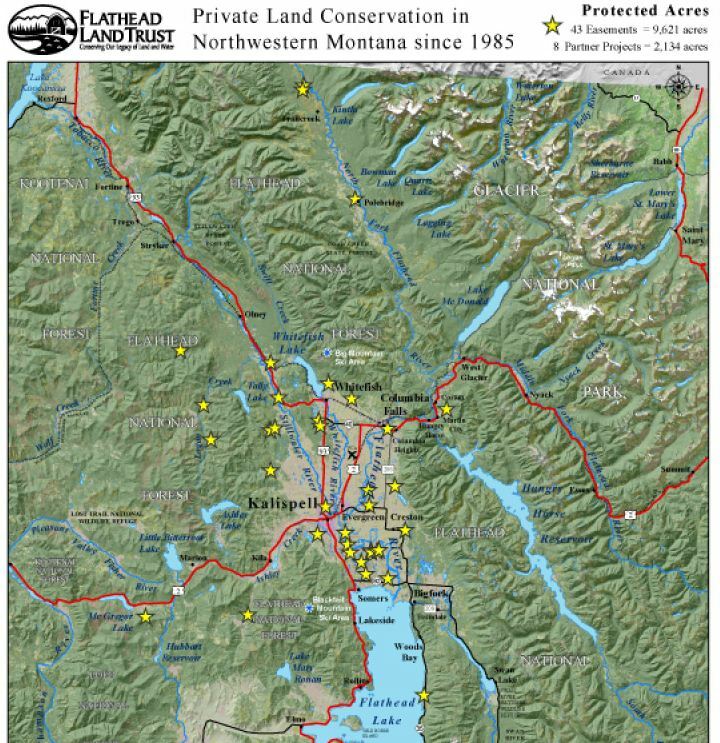 Those percentages from the Flathead Valley’s River to Lake Initiative testify to the fact that much has been done in the past half century – and that much more work remains in a scenic area where development pressures have been intense. The Flathead Land Trust map above shows that land trust’s easements. For a more detailed picture showing the full range of conservation efforts, see the River to Lake Initiative map. Significantly, much has been done thanks to relatively small conservation easements, such as the 28 acres which Valerie Beebe donated last year to create a conservation easement near the Smith Lake Waterfowl Production Area. Similarly, the 97 acre riverside conservation easement which the Smith family finalized last year is small. But those acres are important for protecting the river, unspoiled wildlife habitat and pristine views. As well, the acres multiply. The Smith’s 97 acres follow the family’s 107 acre easement created in 2000 and a 163 acre easement which Eric Smith’s mother created four years earlier. Eric says that with soaring land prices pressuring landowners to sell their land for development, he and his wife “feel it’s important to keep some of that land for farming and wildlife and open area.” So they put their land in a perpetual conservation easement “as a way to leave a legacy.” They’ve put two easements in place because after creating their first 107 acre easement, they bought an additional 97 acres when it came on the market, in order to preserve more land along the river. 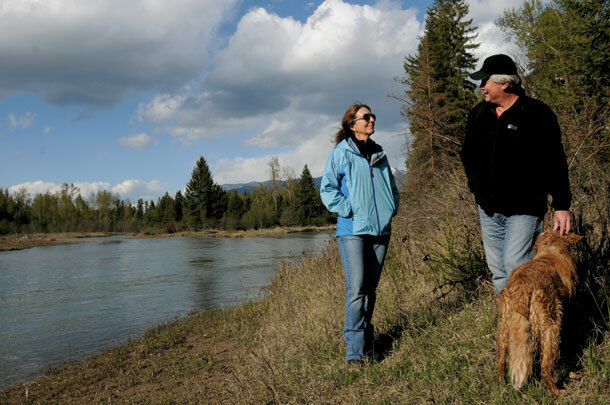 Working closely with landowners like the Smiths, the Flathead Land Trust had a record year in 2011, putting more than 500 acres in new conservation easements. 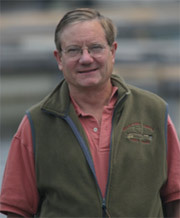 This land protection success is part of a much larger picture. The Flathead Land Trust is one of 12 separate nonprofit land trust organizations which make up the Montana Association of Land Trusts (MALT). Since 1976, MALT has overseen the creation of over 1,000 conservation easements which today protect more than 2.1 million acres in Montana.